Pink Art Silk Lehenga Choli. 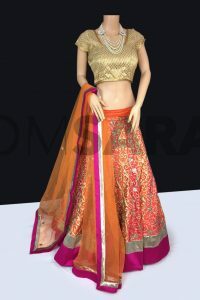 The art silk lehenga is beautifully weaved together with embroidered floral motifs on the lehenga. Comes with matching choli and dupatta.